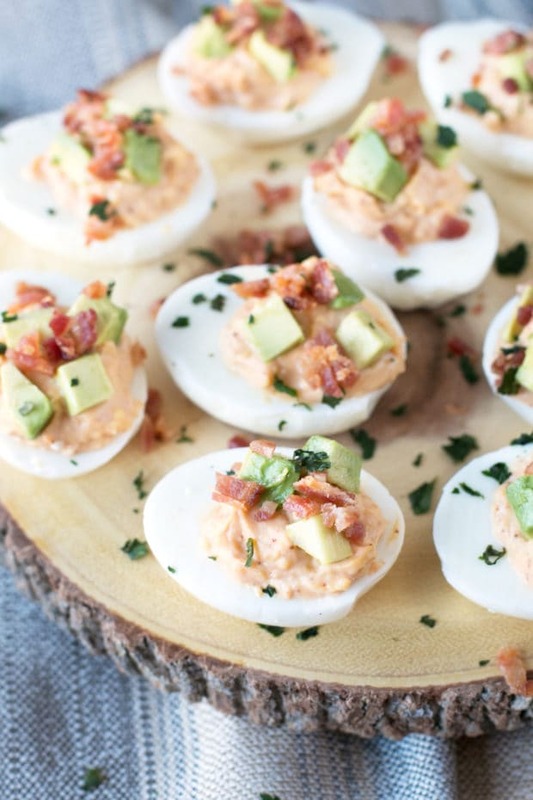 Deviled eggs are always a must for me during this time of year. I don’t always get to indulge in deviled eggs so I look forward to getting my chow on every Spring. 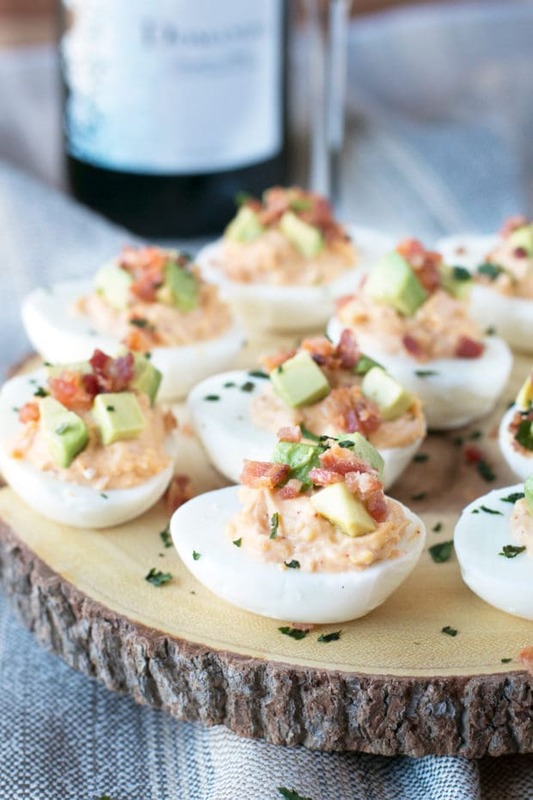 I’ve always loved the classic deviled eggs recipe. The tangy yolk filling, the tender hardboiled egg whites and a touch of paprika are hardwired into my brain’s flavor memory. Honestly it reminds me of grandparents. I don’t have an exact memory in my brain about eating deviled eggs with my grandparents, but every time I bite into one I am automatically brought right back to my grandparents’ kitchen. 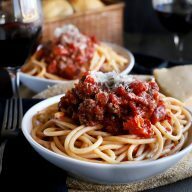 There was this little nook in the kitchen, in between the dining room and the main kitchen area, where I would always sneak treats and early bites of whatever my grandmother was serving up that meal. With one bite of a deviled egg, I am back in that nook. Now I am all about riffing on the classic recipe (see: Bacon & Blue Deviled Eggs) every chance that I get. 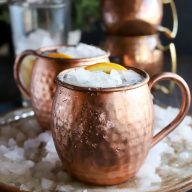 I love taking old recipes and giving them new life. 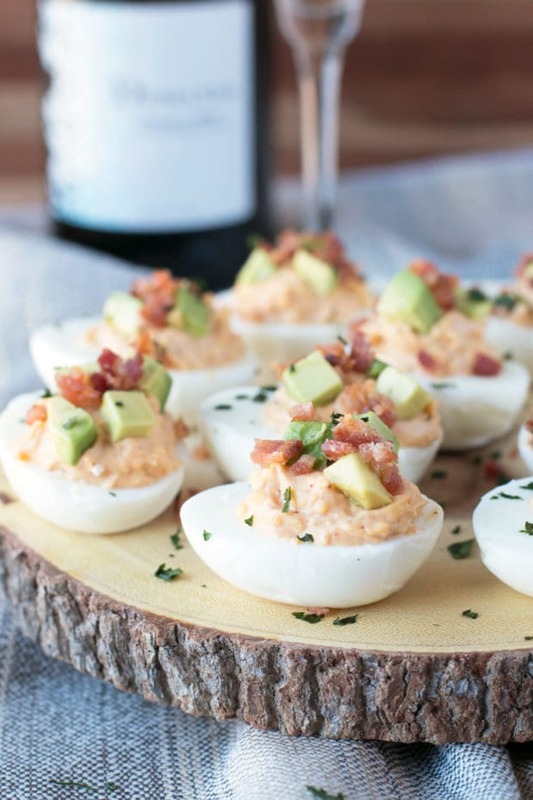 That was the inspiration for these Chipotle Bacon Deviled Eggs. 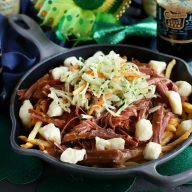 The flavorful chipotle seasoning brings in a burst of smoky and spicy flavor that pair wonderfully with the classic deviled egg base my grandmother used to use. Then I decided there needed to be an extra creamy and savory element to the whole thing, so I topped it all off with a pile of avocado and bacon. 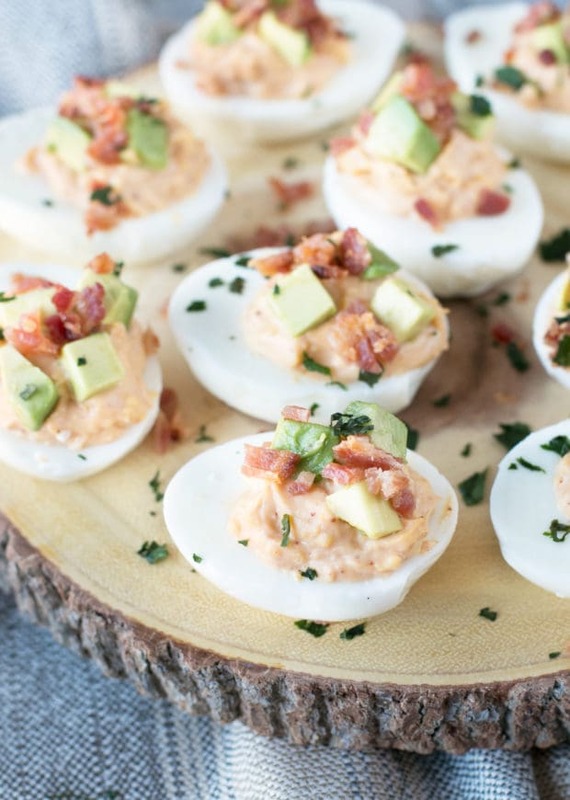 When you take a bite of one of these deviled eggs, you are never going to be able to go back to the old recipe your mother has used for years. Once you go chipotle bacon, you don’t go back. 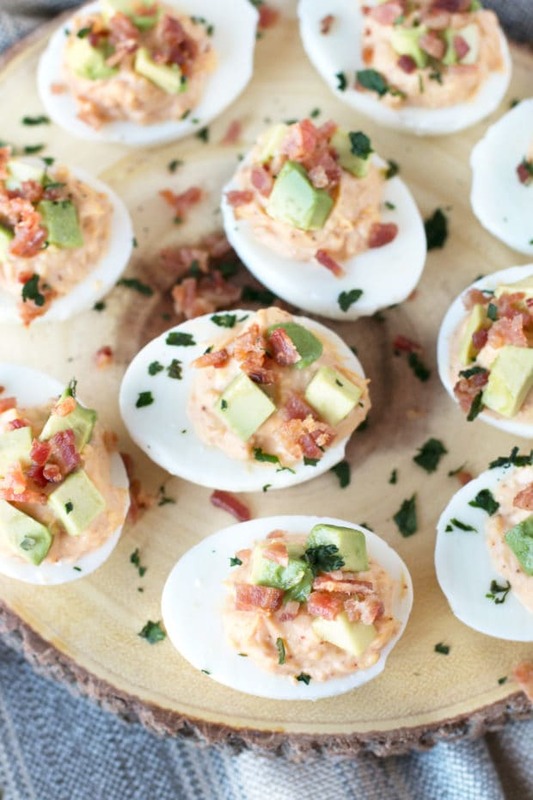 Pin this Chipotle Bacon Deviled Eggs recipe for later!